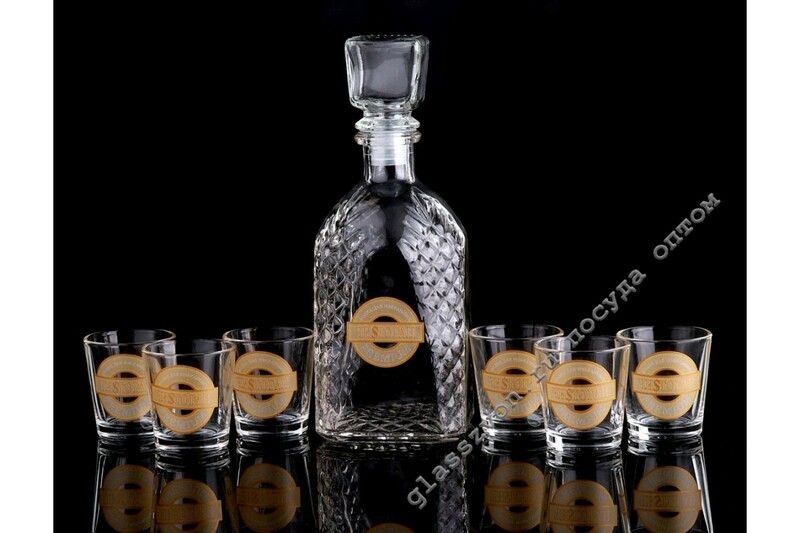 "An incredibly elegant set of glassware in the form of glasses and a decanter, delicately decorated with logos using decals, will perfectly fit into drinking establishments of various classes. The comfortable shape of wine glasses and a decanter, whose profile is decorated with a facet, will allow each consumer to use this utensil with immense convenience. 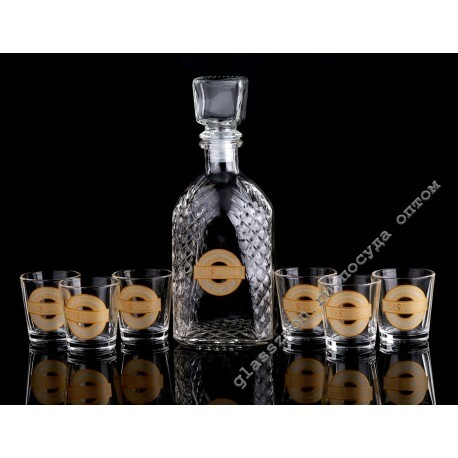 Dishes for the restaurant with decal is very popular in the glass goods market. A modern and inimitable method of drawing a graphic image, gives the products an individual and unique appearance. All this causes high interest and great demand among consumers. There is also a large assortment of mugs with decal at wholesale prices . "